Not sure which licence suits you best? Below, we explain which licence will be best for you! The Educational version is available for universities and other academic/educational environments. This version may only be used for educational purposes and non-commercial project work. As such, it has less features than the Professional version, which is intended for commercial use. The quarterly subscription is a good option for those who are looking to create a filter for just one project, or just want to see if the ASN Filter Designer fits their way of working. With a 3 month or yearly based subscription licence, you’ll get full support and upgrades during this period. 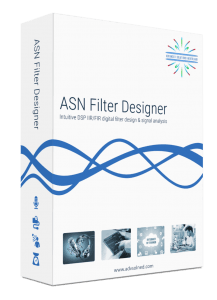 However, you need to have an internet connection while working with ASN Filter Designer. Perpetual licences provide the right to use the software indefinitely, and the first year of maintenance is included in the initial purchase price. However, after the initial 12 month period, an annual fee is required to renew your maintenance. If your subscription expires, you will incur additional fees for applicable back maintenance and reinstatement.